Join Red Hat and EVT for a no-cost, 1-day, hands-on technical workshop. Take a journey to agile integration by taking back more control of your applications. Speed up your software life cycle by adopting microservices in your integration, modularizing solutions with APIs, being cloud ready by containerizing applications, and using DevOps to increase the speed of your development cycle to become truly agile. You'll also participate in some hands-on labs, based on case studies and led by experienced solution architects. Please make sure VirtualBox is installed and working on your laptop. We found that 5.2.x with the extension pack worked the best and is located here. If you are having trouble with Windows you may need to turn off hyper-v and adjust your BIOS to allow virtualization. Kaleem brings over 20 years of experience from web development to IT architecture and security. 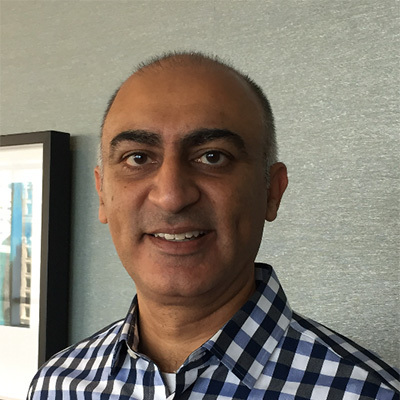 Kaleem's passion of pioneering enterprise-wide solutions and their implementation comes through in his day-to-day role as a senior solutions architect at Red Hat. Kaleem is a graduate of the University of Waterloo. Enterprise Vision Technologies is a value-added reseller of IT solutions and services. Founded in 2003, EVT Corporation provides the experience and expertise to find the right solution for your IT infrastructure. Our specialties include storage and data management, server and storage consolidation/migration services, project management, ITIL best practices in Service Management, and staffing services. WARNING: Do not reference or share this link in any communications. This page is for REVIEW purposes only. It is NOT TO BE USED for any reason other than your review/approval. Once registration is live on redhat.com, we will notify you that the event is ready to promote and provide to you any needed links and HTML files.